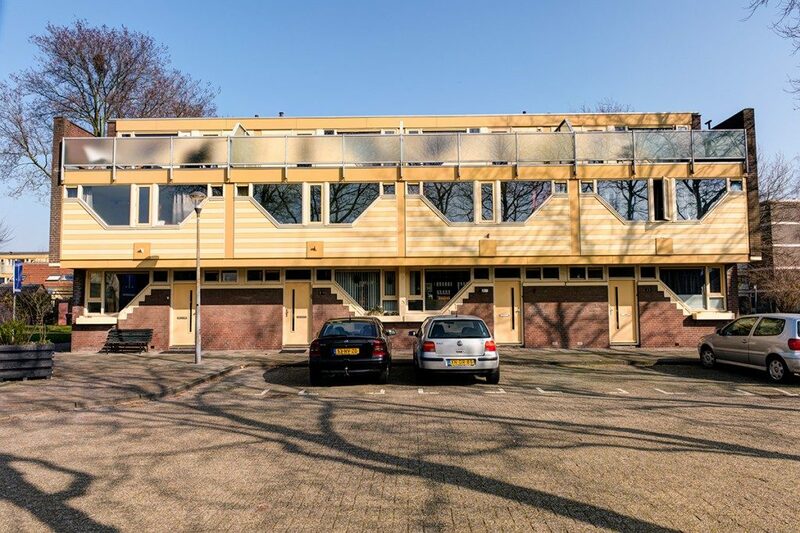 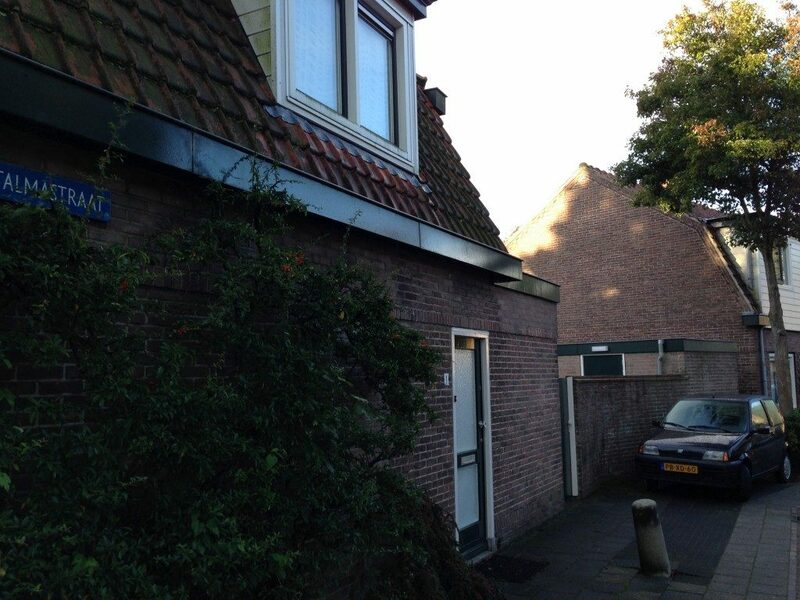 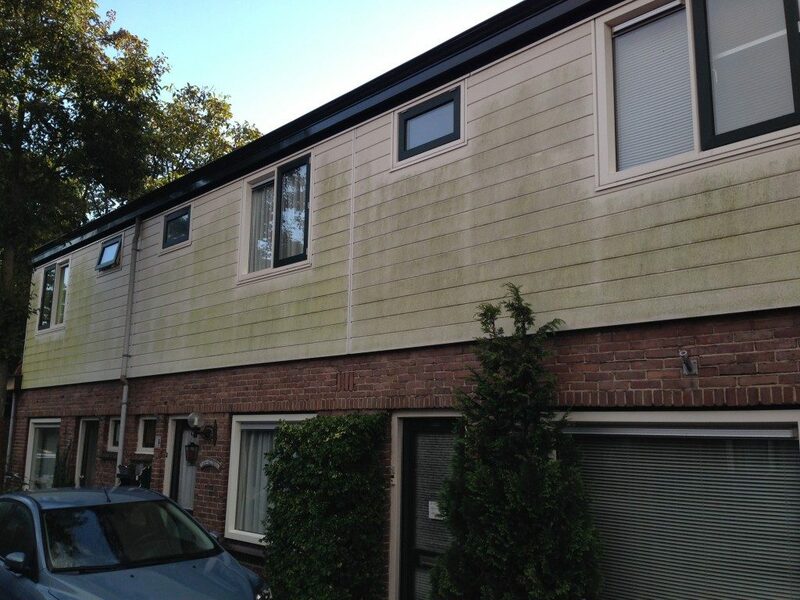 Elan Wonen is the housing corporation in Haarlem, Heemstede and Velsen. 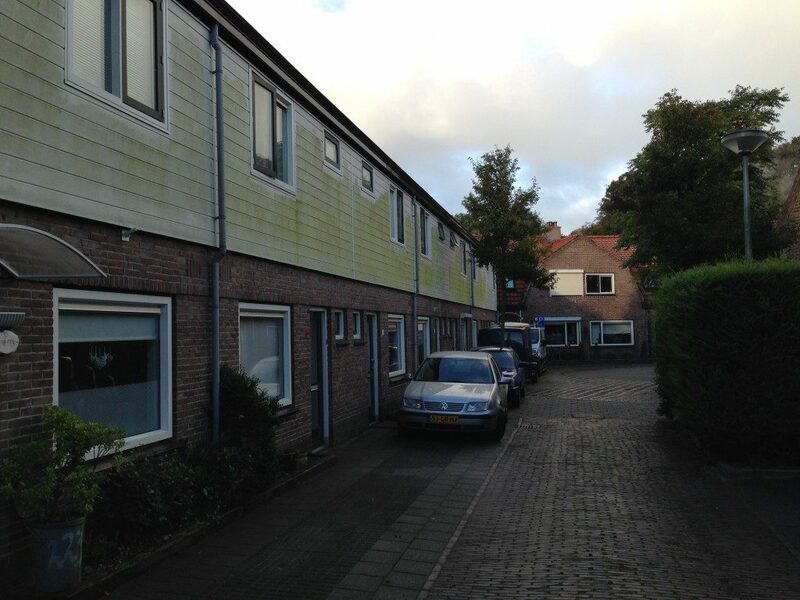 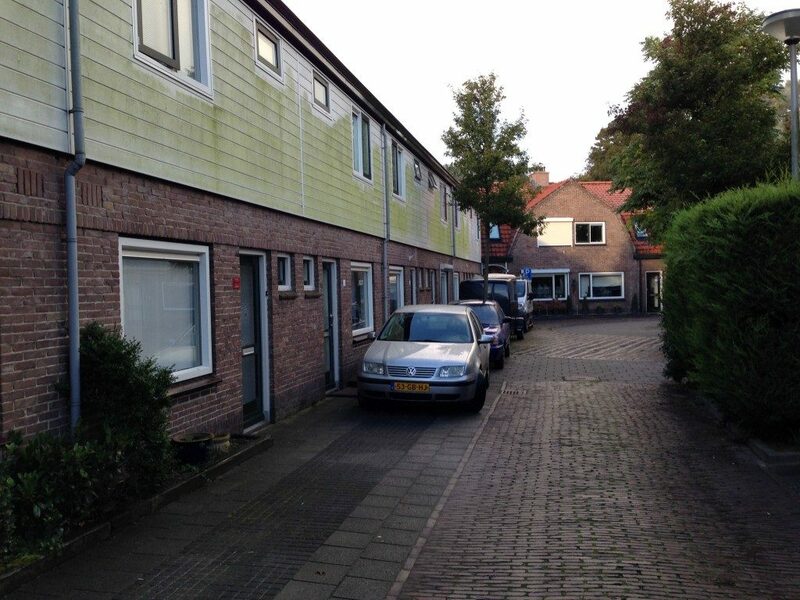 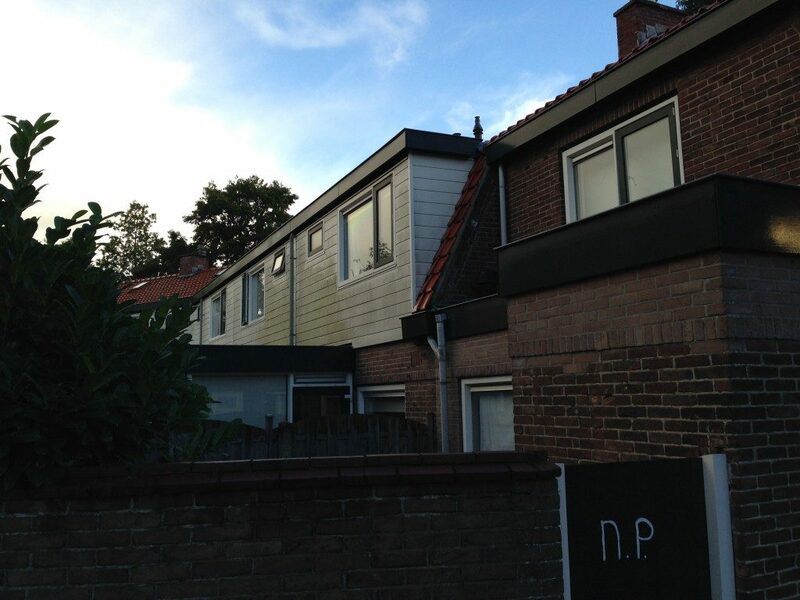 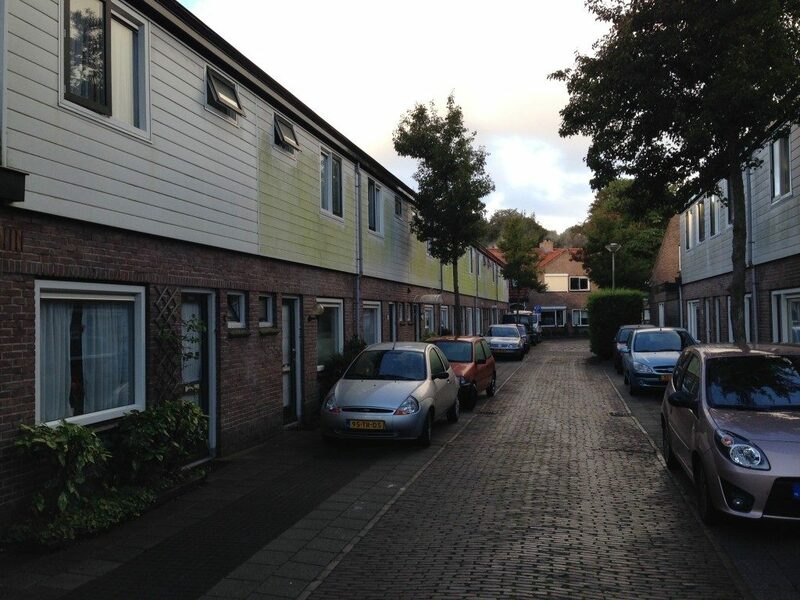 The 421 single-family homes on the Assumburg, Balgzand, Dever, Griend, Hondsbos, Poelgeest and Vredenburg in Haarlem have been undergoing major maintenance since 2010. 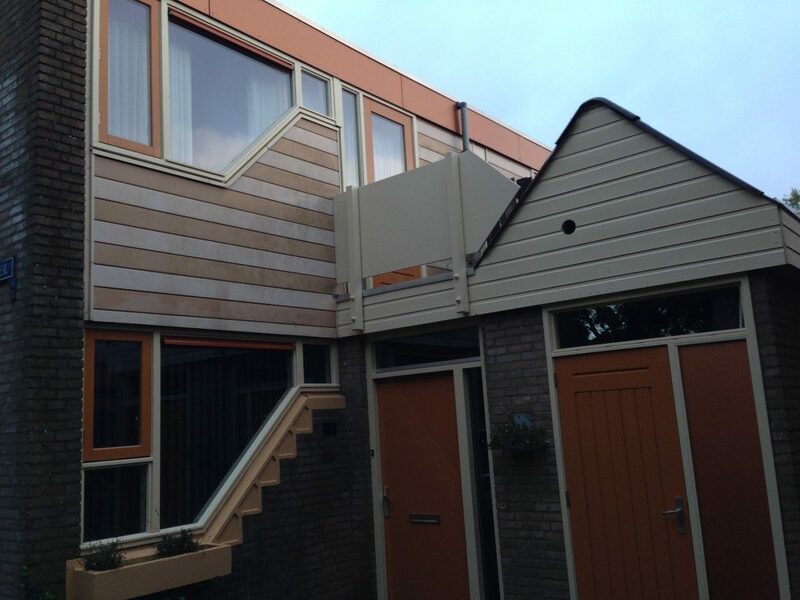 The renovation of kitchens, bathrooms and toilets, the installation of insulation at the bottom of the ground floor, the replacement of group cabinets and central heating boilers and the replacement of wooden sheds is a selection from the work carried out by Hemubo. 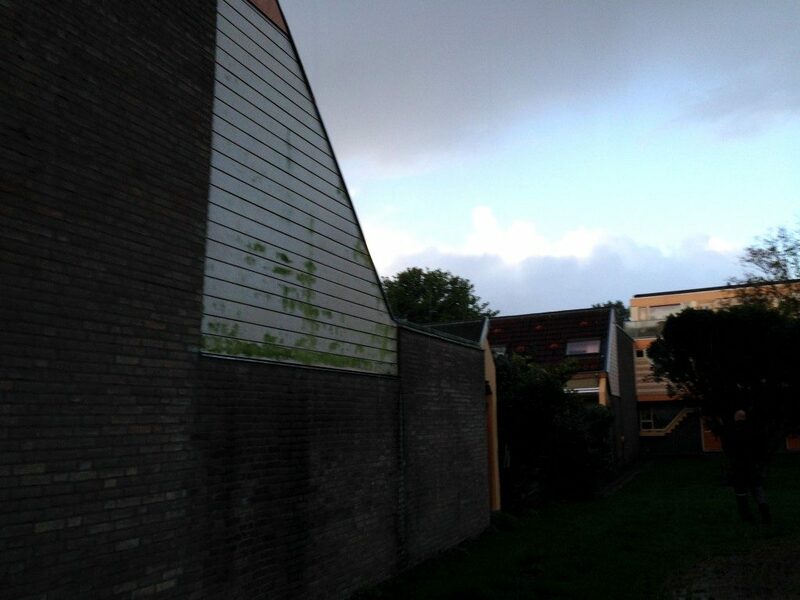 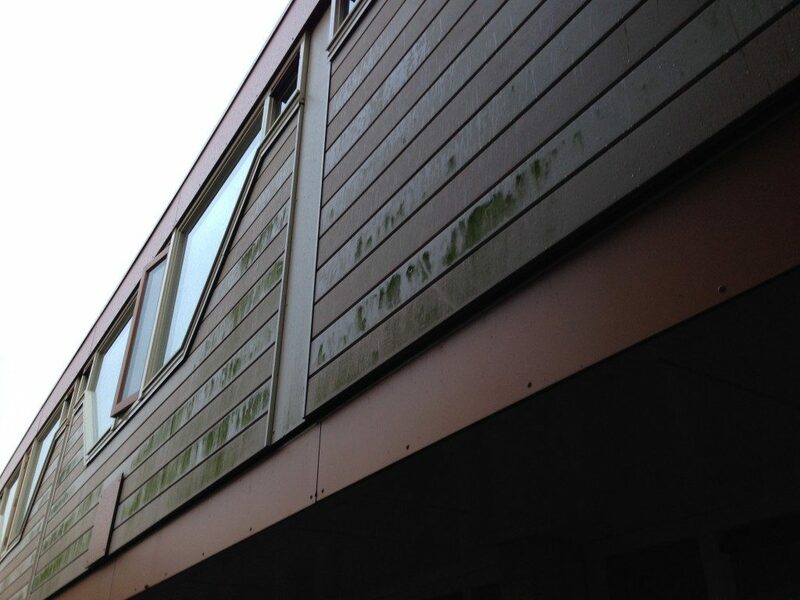 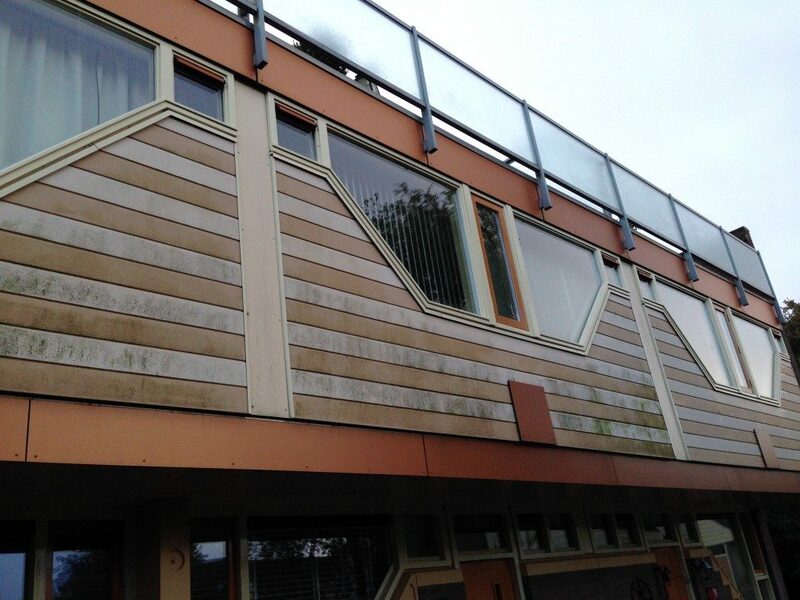 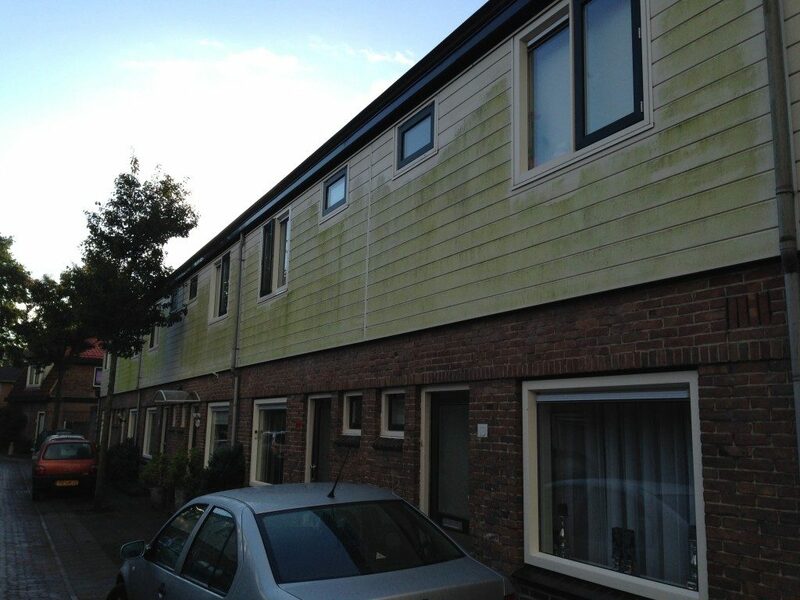 The Werzalit façade cladding has been cleaned by KSS & Noord services with UNICLEAN, Algae remover and ISOPROPANOL. 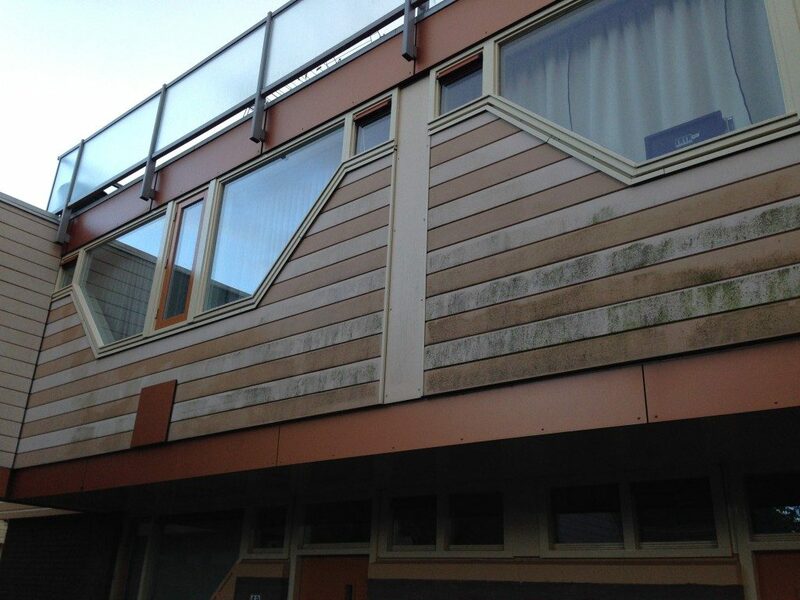 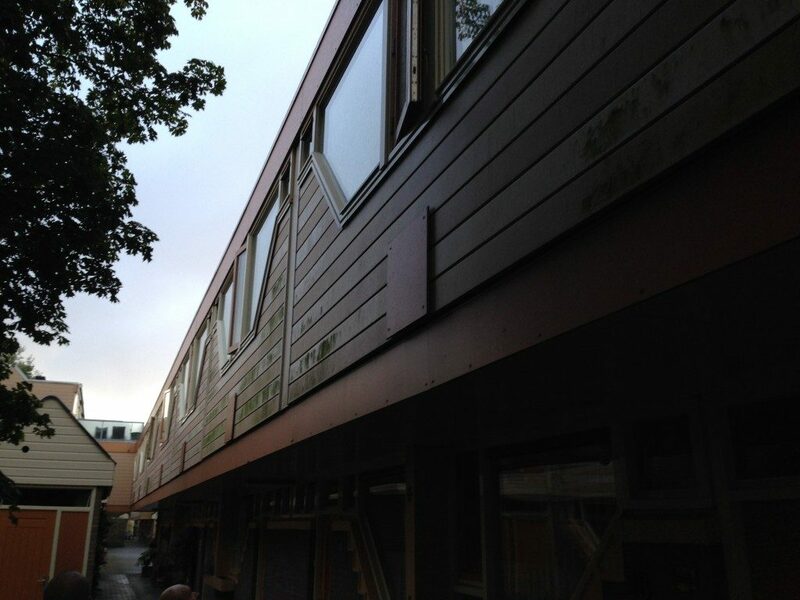 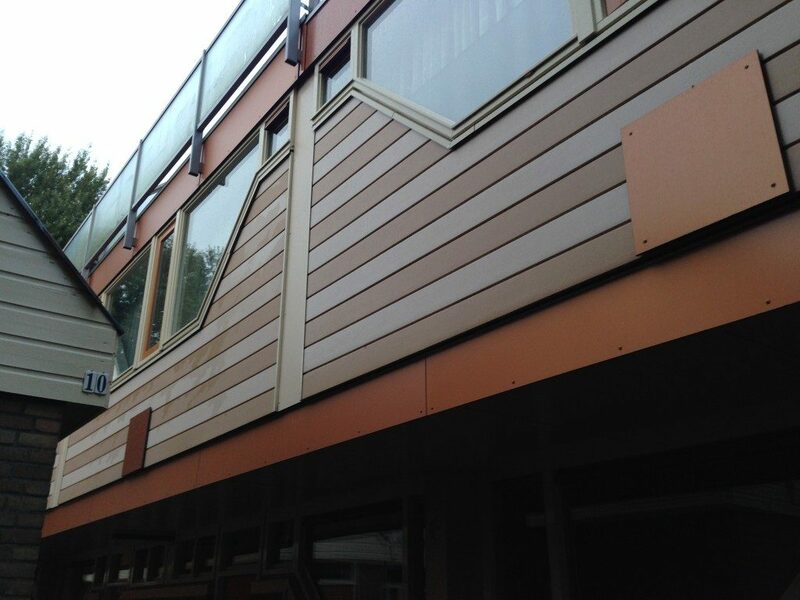 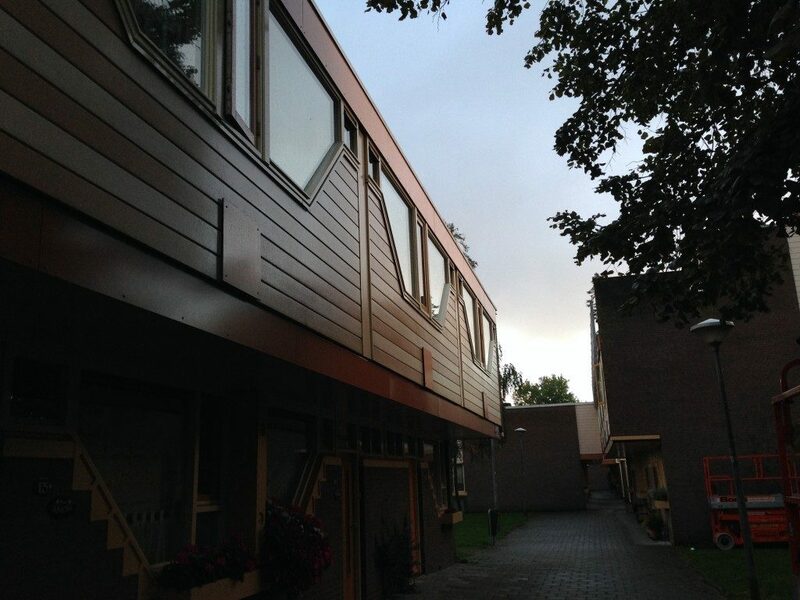 Afterwards the façade cladding was restored to its original state by the application of NITOCOAT. 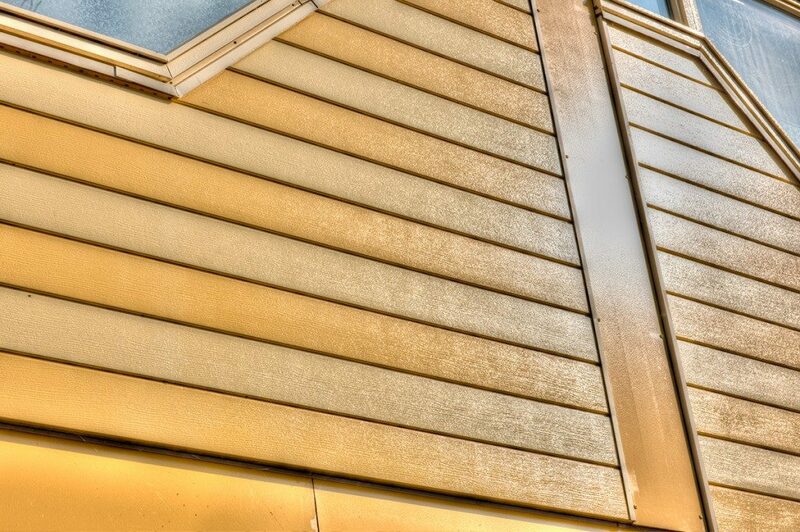 The NITOCOAT can be applied to the plating in one layer and without sanding. 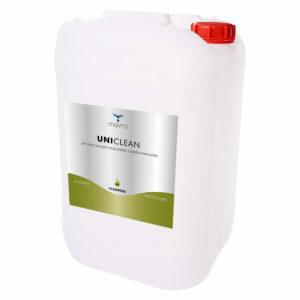 This works quickly, easily and cost-effectively. 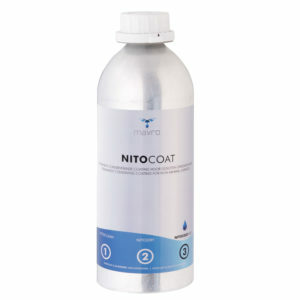 NITOCOAT offers long-term protection, which means less maintenance is required and the colour and gloss is present again.